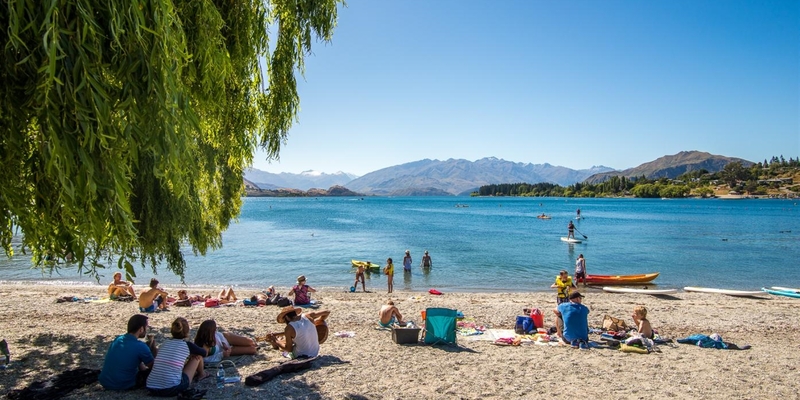 In 2018 new laws were enforced to restrict foreigers from buying property in New Zealand. These changes do not affect existing ownership by overseas people. 2. 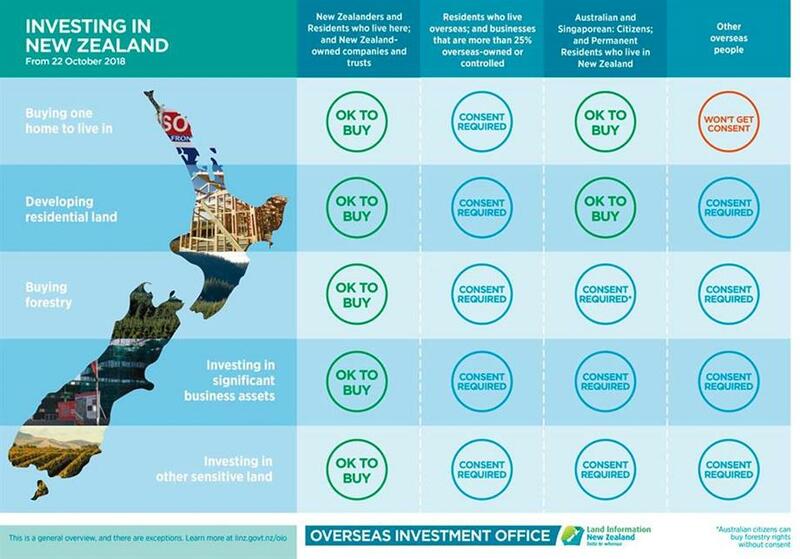 Australians and Singaporean citizens can also buy residential property in New Zealand due to free-trade agreements, but will still face screening by the OIO. Increased housing test: If the overseas buyer would be developing land and adding to New Zealand’s housing supply. Non-residential use test: If the overseas buyer intends to use the land for non-residential purposes. Incidental residential use test: If the overseas buyer intends to use the land for a residential purpose in the course of business (for example, retirement village, rest home, student hostel or similar – but not a hospital, hotel, motel, campground, etc). Commitment test: If the overseas buyer holds an appropriate visa and can show they have committed to reside in New Zealand. "New foreign buyer laws – what do they really mean?" Further information on applying for consent are available on the LINZ website- https://www.linz.govt.nz/overseas-investment. LINZ has prepared the attached simple information sheet on who will be required to obtain consent under the new rules.